Over the next few days Frank develops a fear of sleep, because each time he wakes, he discovers strange objects in his hands and pockets - objects far more frightening than blood. Husband-and-wife detective team Bobby and Julie Dakota specialize in high-ticket corporate security investigations, but when a distraught and desperate Frank Pollard begs them to watch over him, they can't refuse. Out of compassion - and curiosity - they agree to get to the bottom of his mysterious, amnesiac fugues. It seems a simple job: just follow a client who wants to be watched and tell him where he winds up. But as the Dakotas begin to discover where their client goes when he sleeps, they are drawn slowly into ever-darkening realms where they encounter the ominous figure stalking Frank. Their lives are threatened, as is that of Julie's gentle, Down's-syndrome brother, Thomas. To Thomas, death is "the bad place" from which there is no return. But Julie and Bobby - and their tortured client - ultimately learn that equally bad places exist in the world of the living, places so steeped in evil that, in contrast ,death seems almost a relief. Having two readers, male and female at first seemed clever. That lasted a few chapters. The female tried to read with too much emotion on many paragraphs, not at all how I would read the book if I was reading versus listening. 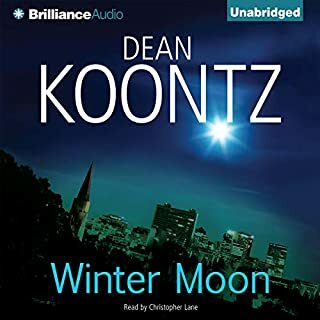 Would you be willing to try another book from Dean Koontz? Why or why not? What three words best describe Carol Cowan and Michael Hanson ’s voice? Do you think The Bad Place needs a follow-up book? Why or why not? Nope. The story was already too convoluted wen it ended. 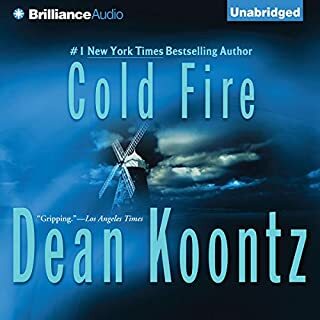 The is flat out THE BEST book Koontz ever wrote....Well this and the Odd series. very interesting, great characters, great story. don't always enjoy all of his books, but this one is a MUST. good pace. never boring. I normally like to read the book so my mind can better act out the characters, visualize the scenes, etc. This book was such a wonderful listen I found it hard to not listen to until the end. I so enjoyed it I had to buy the paperback so I could read it myself, nonetheless the narrators did such a wonderful job I don't know if my mind can out do them. I think this is one of Dean Koontz's best books. I read it back couple of years ago,but listening to it being read the way it was,was a awesome ear candy treat. The readers made the book come to life,by changing there tone,and word articulations,reading in sync with the character they represented. A must have for your audio library. 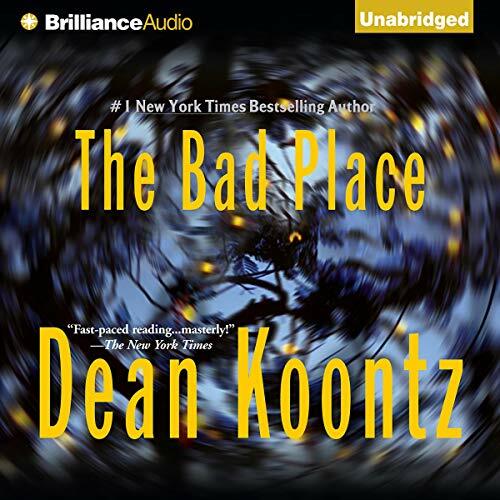 My favorite Koontz books are the ones where there is no hocus pocus - time travel, aliens and the like. I like Koontz charachters that are simply creepy enough to hold their own without supernatural capabilities. This is not one of those books, but the antagonists are certainly creepy. The narators do a great job and the story is solid enough to keep you engaged. Worth a credit. A monstrous human wants to kill Frank and frequently kills others. 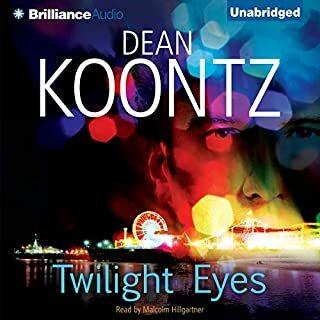 This wasn’t my favorite Koontz book, but it was good. 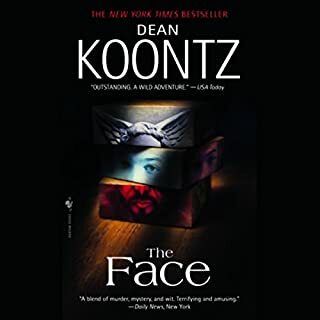 Koontz is excellent at creating and describing characters, dialogue, and events. 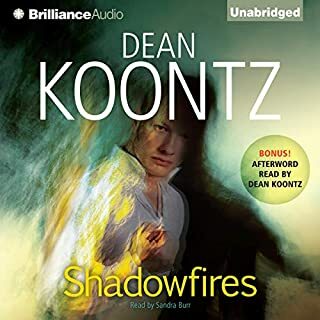 My favorite Koontz stories consist of one or two characters who face obstacles, struggle, become stronger, and survive or succeed. This story is more about uncovering the mystery, getting closer, then luckily managing to survive, with scars. Some of the battle scars are the loss of loved ones and good people. I require happy endings, and this met my requirement. See spoiler below for a comment about the ending. I was intrigued with the unusual characters and some every day characters. For example, one guy was asked for a picture. He said nothing and slammed the door. She knocks again. He opens the door. She asks for the picture again. He says I was on my way to get it and slams the door again. An example of unusual characters, the twins were weird and mesmerizing. They liked being naked, living among cats on the floor, kissing each other, and inhabiting animal minds. There were two narrators. Michael Hanson was excellent. Sadly I don’t want to listen to Carol Cowan narrate anything. I cannot adequately describe her, but it’s similar to self satisfied and arrogant, maybe like someone saying “I know, I know” to shut me up. This is what I would have liked knowing in advance. The ending was happy for a minority of the good guys. And it was bad for the bad guy. This was written so well! It's very balanced and engrossing, even during the parts that weren't the most exciting. It is a horror story so it's got some horrific elements, like killings being told through the perspective of the killer. Even those parts were so darkly thematic though, this was not just horror for horror's sake. It could offend some very religious people, as it is about the dark side of religion, which does and has always existed and should be talked about. Still, it never gets "preachy" or didactic, not for a second. This book is straight up entertaining and it moves fluidly under its own momentum. Creepy and thrilling. This was my first Dean Koontz book. It came highly recommended from a friend. At first I didn't know what to think, but I am glad I stuck with it. It is every bit as twisted, and bizarre as a Greek tragedy. Very Dark, and equally entertaining. The narrators were masterful! Where does The Bad Place rank among all the audiobooks you’ve listened to so far? 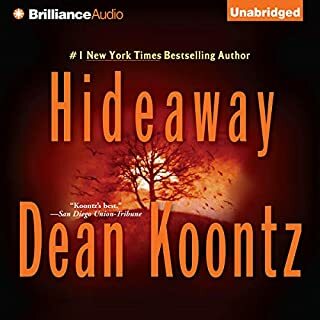 One of the best koontz books I've ever read. Loved it as usual. Will read it again. What does Carol Cowan and Michael Hanson bring to the story that you wouldn’t experience if you just read the book?